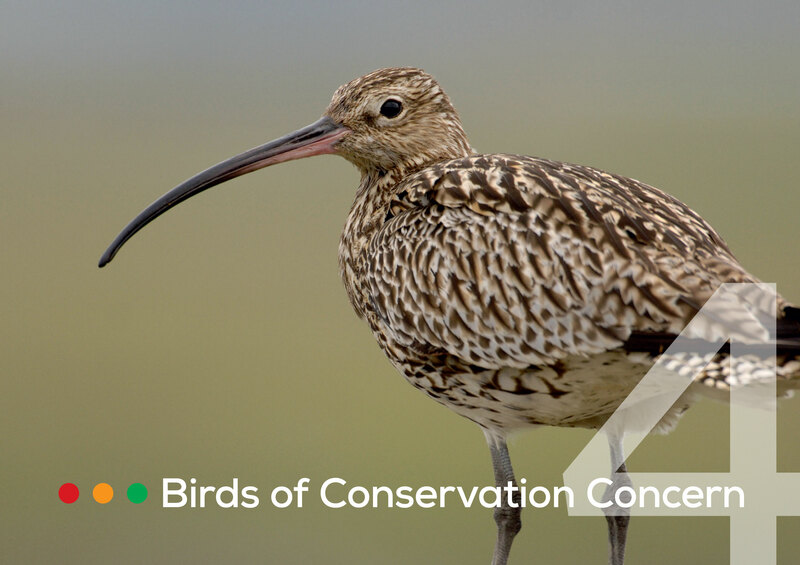 The population status of birds in the UK is regularly assessed through a collaboration of the UK’s leading governmental and non-governmental conservation organisations. The most recent review was undertaken in 2015, this being the fifth since 1990. The review used a range of criteria to place a total of 246 regularly occurring species onto one of three lists: Red, Amber or Green. This categorisation provides an indication of the priority that should be given to each species when allocating resources for conservation action. Red list species are those that are globally threatened, whose population or range has declined rapidly in recent years (i.e. by more than 50% in 25 years), or which have declined historically and not recovered. Amber list species are those whose population or range has declined moderately in recent years (by more than 25% but less than 50% in 25 years), those whose population has declined historically but recovered recently, rare species (<300 breeding pairs or <900 wintering individuals), those with internationally important populations in the UK, those with localised populations, and those with an unfavourable conservation status in Europe. Species that meet none of these criteria are Green-listed. Of 244 species assessed in 2015, 67 (27%) were placed on the Red list, 97 (40%) on the Amber list and 80 (33%) on the Green list. Twenty species moved on to the Red list since the previous assessment in 2009, but three moved to the Amber list and two were not assessed as they have ceased breeding. A summary report is also available here. 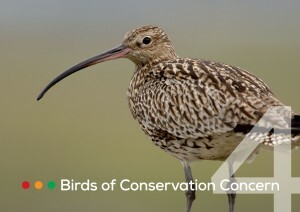 Birds of Conservation Concern 4 was compiled by a partnership of organisations, including the British Trust for Ornithology, Countryside Council for Wales, Game & Wildlife Conservation Trust, Joint Nature Conservation Committee, Natural England, Northern Ireland Environment Agency, RSPB, Scottish Natural Heritage and the Wildfowl & Wetlands Trust. Eaton, M.A., A.F. Brown, D.G. Noble, A.J. Musgrove, R. Hearn, N.J. Aebischer, D.W. Gibbons, A. Evans & R.D. Gregory. 2009. Birds of Conservation Concern 3: the population status of birds in the United Kingdom, Channel Islands and the Isle of Man. British Birds 102: 296-341. A summary report was also produced. Click here to download the report. Gregory, R.D., N.I. Wilkinson, D.G. Noble, J.A. Robinson, A.F. Brown, J. Hughes, D.A. Procter, D.W. Gibbons & C.A. Galbraith. 2002. The population status of birds in the United Kingdom, Channel Islands and Isle of Man: an analysis of conservation concern 2002–2007. British Birds 95: 410–450. A summary of the 2002 review was also produced. Click here to download the report. Gibbons, D.W., M.I. Avery, S.R. Baillie, R.D. Gregory, J. Kirby, R.F. Porter, G.M. Tucker & G. Williams. 1996. Bird species of conservation concern in the United Kingdom, Channel Islands and Isle of Man: revising the Red Data List. RSPB Conservation Review 10: 7–18. JNCC. 1996. Birds of Conservation Importance. JNCC, Peterborough. Batten, L. A., C.J. Bibby, P. Clement, G.D. Elliott & R.F. Porter. 1990. Red Data Birds in Britain. T. & A.D. Poyser, London.